It is only through comparison can one truly see how minuscule we on the earth, or in the case of this photo... the sky. 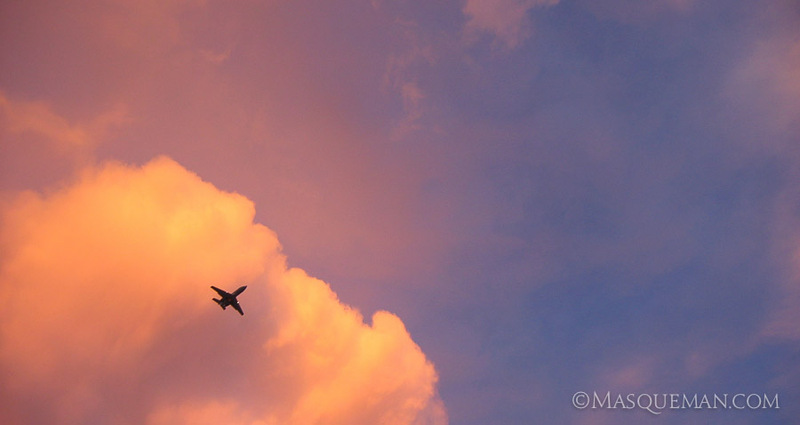 This jet looks looked a speck when compared to the clouds it is flying through. 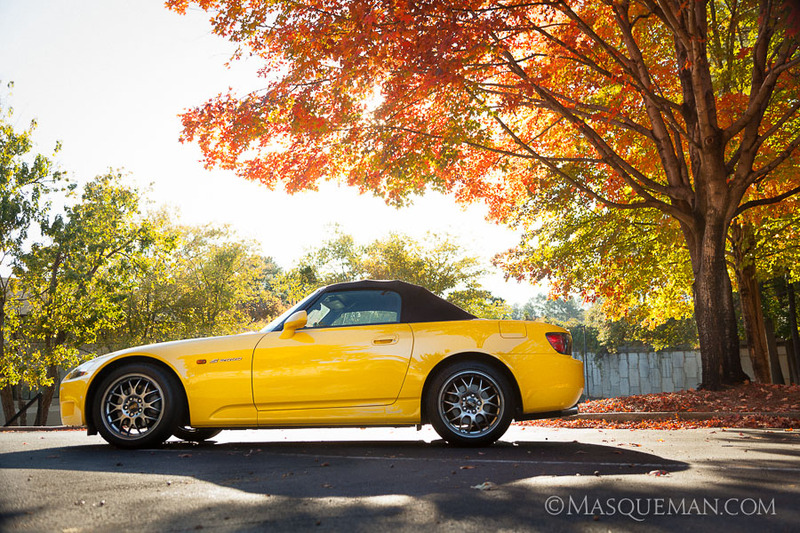 The color that day was unbelievable. This burst of brillance diminished less than a minute later, so timing is everything. 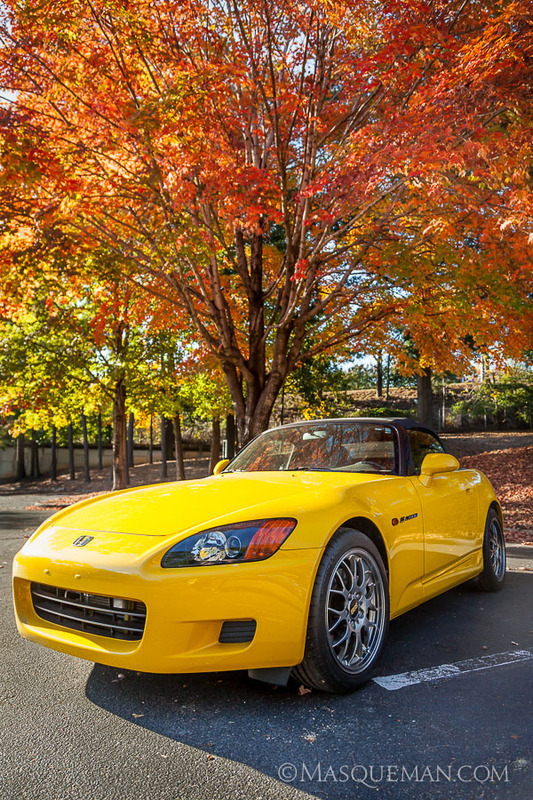 The Fall season is the only time my bright yellow Honda S2000 does not look like the most colorful thing in the parking lot. In particular, there is one maple tree that I look forward to watching every October when it changes its lush green foliage to the the color of fire. I make it a point to take photos of it right when the sun is setting behind it. This gives maximun impact to the colors!